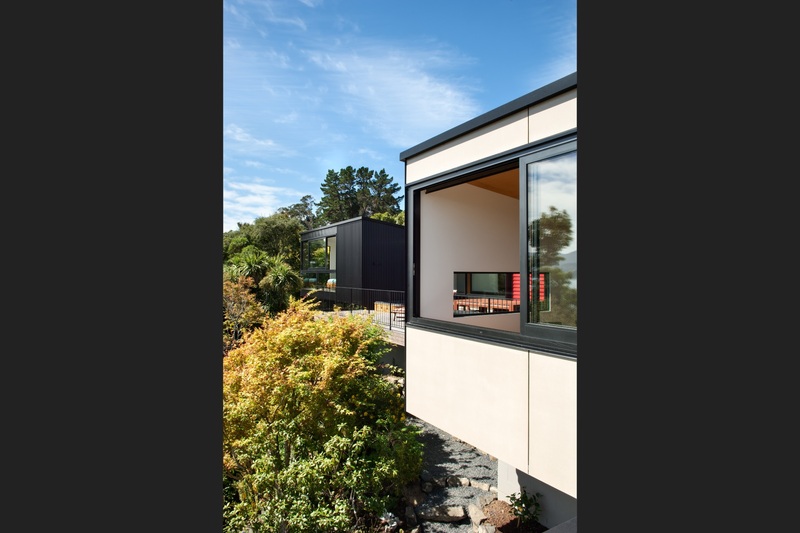 This project involved a major renovation to a house designed in 1957 by Ted McCoy which had suffered from some unfortunate additions over the years. The site on the peninsula has spectacular 180 degree views back to city to the south east and up the harbour to the north west. 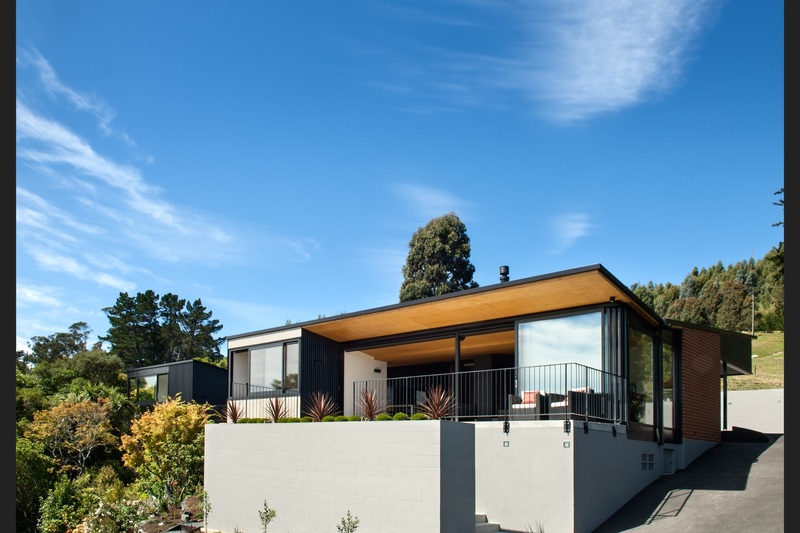 The clients wanted to extend and renovate the house so that it would take full advantage of the site, cater for visiting friends and family, the new generation of grandchildren and large gatherings. This major renovation involved the addition of a new wing including two extra bedrooms, ensuite, extension of the living area relocation of kitchen and laundry, new deck and terrace areas, service court area and two car garaging. 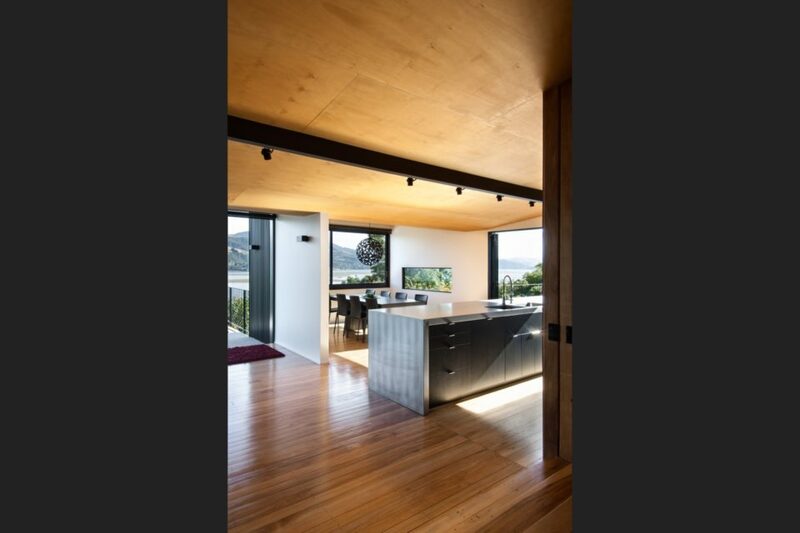 A conscious decision was made to retain as much of the original building form as possible. The original monopitch roof form of the building was kept and extended along the rear of the site and where the new building pushes out towards the water the new roof tilts up to open up to the view. 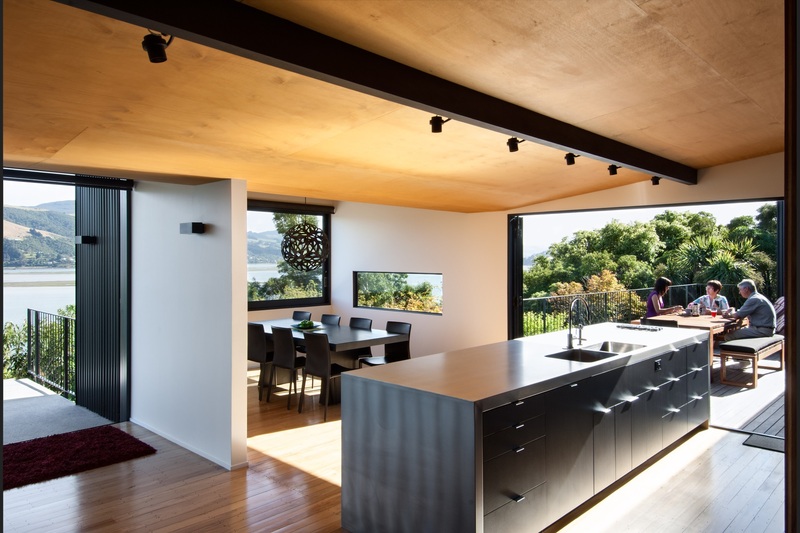 The existing living areas of the house were extended by pushing the house out towards the view and re organised to provide more generous living spaces more suited to current living requirements. 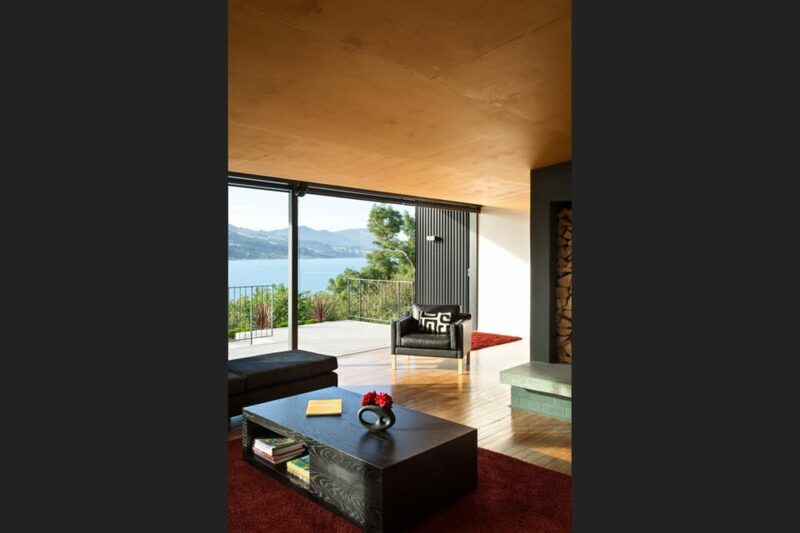 Floor to ceiling glazing allows views back to the city from the living space. 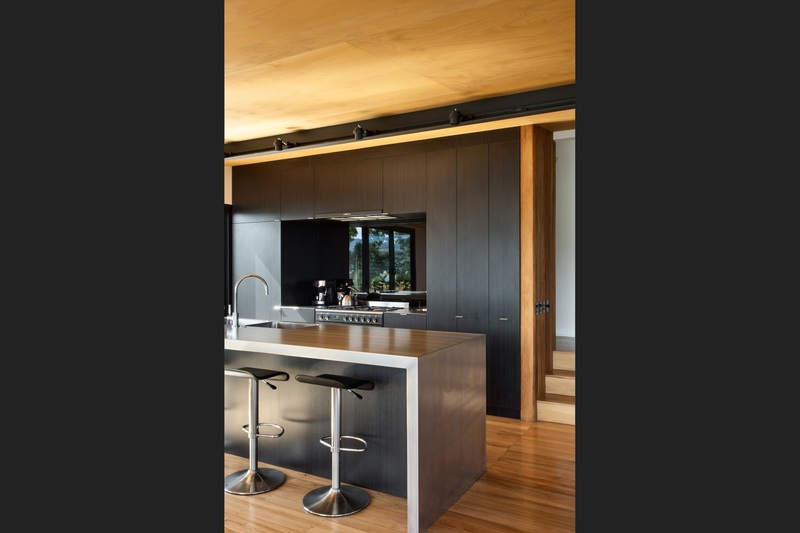 It was important to the clients that the space did not become large and vacuous so the existing fireplace was kept to provide articulation and separation of the kitchen and living space. The new dining room is an extension of the old kitchen, it pushes out towards the view again separated but still part of the main living space. 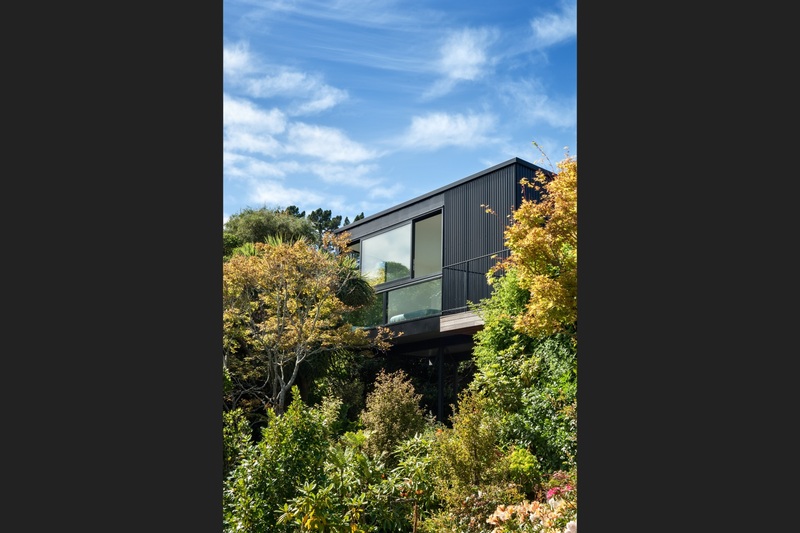 The original hallway was extended and now leads down to the main bedroom addition with ensuite and wardrobe which hovers over the bush on four slender steel legs. Due to the length of this hallway it was important that the space did not feel narrow and mean so natural light was used to modulate the space. Sliding screens of translucent glass reminiscent of Japanese shoji screens separate the two guest bedrooms from the hallway. 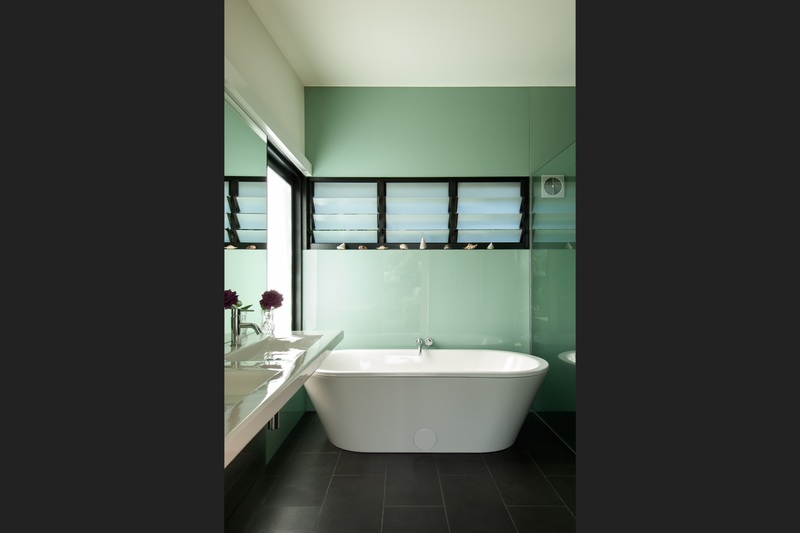 This provides a lovely soft light to these bedrooms while still maintaining privacy if required. 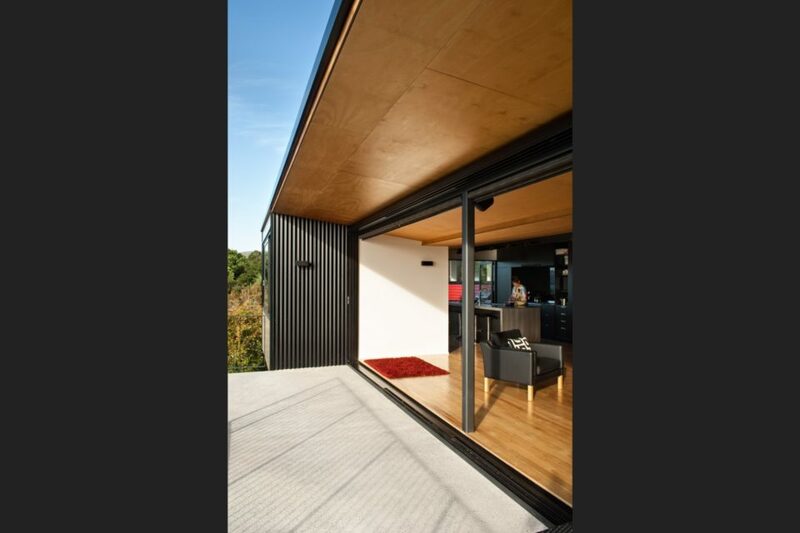 A new generous deck with recessed spa, spans between the old and new parts of the house. 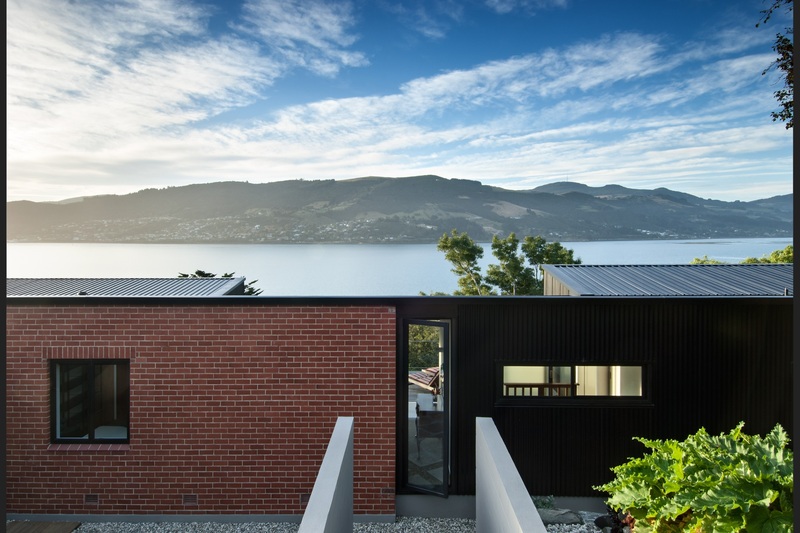 Black corrugated cladding was selected to clad the new parts of the house from a cost/maintenance point of view and also to provide a contrast to the red brick of the existing house.